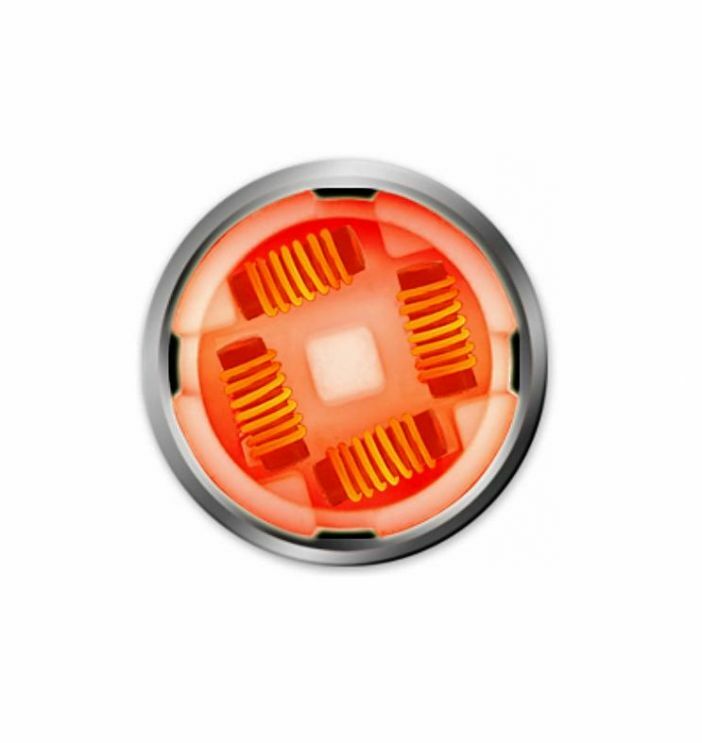 The Yocan Evolve Plus XL Quad Quartz Coils are genuine replacement heating elements designed solely for use with the Evolve Plus XL Wax Pen Vaporizer. These huge atomizer heads feature a glass quartz rod design, fixed in a large ceramic dish that allows for use with massive slabs of thick concentrates. 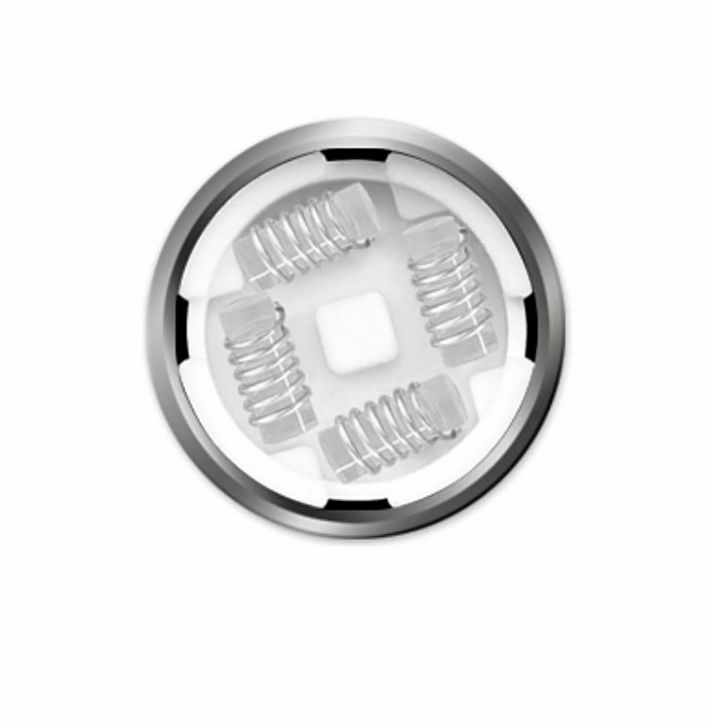 The quartz rod elements will quickly and efficiently heat your concentrates and once melted the ceramic base will ensure every last bit inside goes to use, leaving nothing to waste. Glass quartz is not only extremely efficient it also delivers a delicious quality of flavor, leaving you with a vapor that is both thick and tasty. 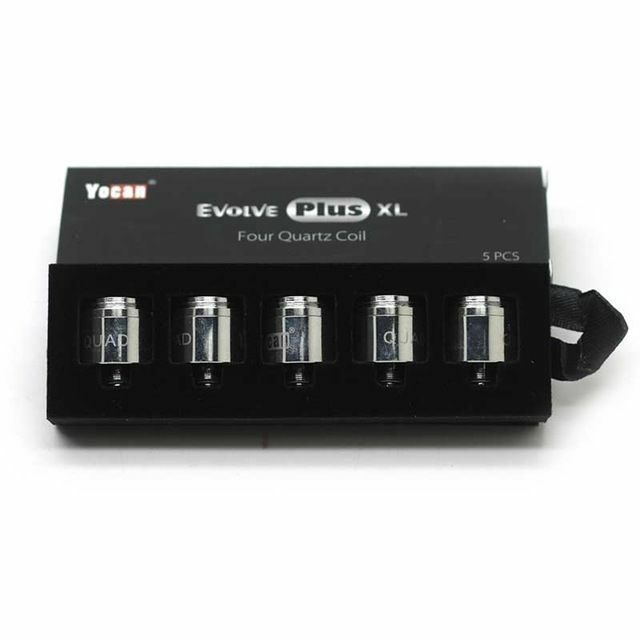 Grab yourself a 5 pack of Replacement Evolve Plus XL Atomizer Coils and enjoy thick, satisfying clouds for plenty of time to come.